Discussions Magazine Music Blog: GLEN CAMPBELL/Rhinestone Cowboy-40th Anniversary Edition! Released March 31st, 2015! 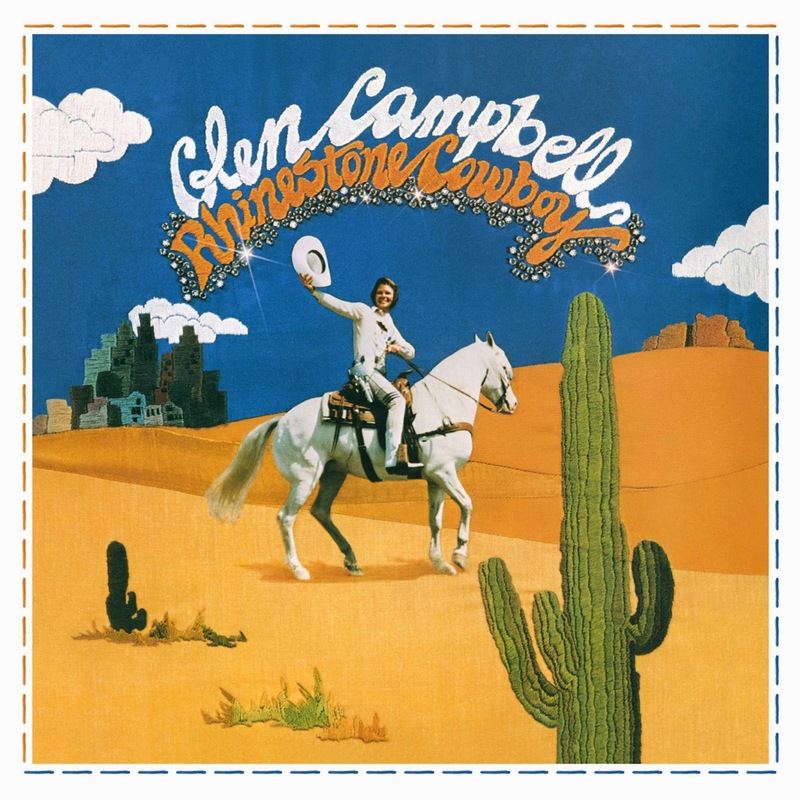 GLEN CAMPBELL/Rhinestone Cowboy-40th Anniversary Edition! Released March 31st, 2015! Released in July 1975, Glen Campbell’s Rhinestone Cowboy was the music legend’s first No. 1 hit on Billboard’s Country Albums chart, vaulting the already quite famous master guitarist and singer to household name superstar status. On March 31, ahead of Campbell’s 79th birthday on April 22, Capitol Nashville/UMe will release an expanded 40th Anniversary Edition of the classic, adding five rare and previously unreleased recordings to the remastered original album. The new commemorative edition is available now for preorder on CD and digital audio; the remastered original album is also available for preorder on vinyl LP.